ZNZBF just IPO’d in the US with a confirmed Gold Discovery! Read why you must NOT miss this.. Situations like this rarely occur. Today we have an unprecedented opportunity to profile a dual-listed Gold/Mineral Exploration company that has literally *JUST COME TO MARKET* in the US! And with Gold prices back on the rise due to recent global tensions, you can bet there may be no better time than NOW for this high-growth/safe-haven Sector! Zanzibar Gold (ZNZBF) is an artisanal mining & mineral exploration company focused on the exploration and development of natural resource properties with a focus on Gold deposit. The company currently has two significant assets in Tanzania and the Gold Vanadium in British Columbia, CA (Vancouver Island). Zanzibar Gold (ZNZBF) is a company who’s focus brings many properties and placer deposits under a single vision. This guidance often leads to the discovery of larger ore bodies and different opportunities other than those first pursued or imagined. Tanzania has long been known as a haven for gold since Arab traders first came during the 16th to 19th centuries. Following World War I, gold production grew steadily for about 30 years, but then declined. By 1967 output had all but ended as a result of the fixed gold price. Since Tanziania’s modernized Mining Act in 1998, the country became the fastest growing gold producing country in the world with Reserves in the 50 million ounces! Six gold mines have been developed and opened making Tanzania the fourth-largest gold producer in Africa. Located in the Handeni Kilindi Regional district of Tanzania, this project was first investigated in 2005. A recent alluvium deposition that fills the main valley that are adjacent to the ridges of outcrop that host the main auriferous structures in the Bondo area (which lies immediately north of the Property). The Alluvium appears to be un-stratified composing of cobbles, pebbles, gravel and sand. The identified mineralization in the adjacent drainages is beneath 5-6 metres of barren clay silt valley fill contains the Gold. Coarse gold flakes, up to 2mm in size, are found within the adjacent valley alluvium which feeds into the main valley where the Property is located. A recommended exploration program to evaluate the potential of the Property by test pitting and trenching is being initiated. Now let’s transport halfway across the world to ZNZBF’s other prized property known for it’s presence of Gold, Copper, and Vanadium located in Vancouver Island, Canada! Last December, the company announced the Acquisition of this property with 80% interest. In 1985, Westmin Resources completed a program of geochemical sampling that assayed 2.1 grams per tonne gold. 3 years later, Nexus Resources completed a program of seven diamond drill holes, which uncovered assayed samples of 1.19 grams per tonne gold, 0.0024 per cent copper, 0.0023 per cent zinc, trace silver and trace lead. A review this year outlined for vanadium found that the property represents a unique undefined target that is one of the best known for vanadium values ever seen in this new exploration market! Initially, vanadium was all about steel. 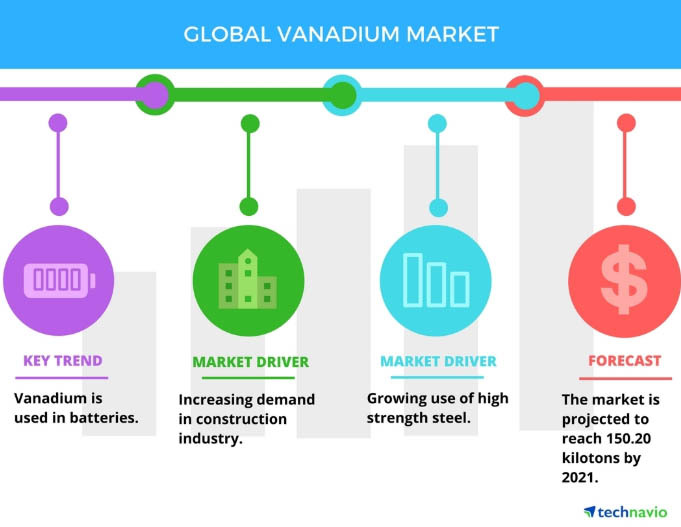 Vanadium mainly goes into structural steel, such as in bridges and the “rebar” used to reinforce concrete. That’s because adding in as little as 0.15% vanadium creates an exceptionally strong steel alloy. Today, vanadium is prized for it’s use in batteries known as “Vanadium Redox”. Hot off the wires this month was the company’s big news confirming their claim of the presence of Gold & Vanadium at it’s Vancouver Island property! Take a look…. 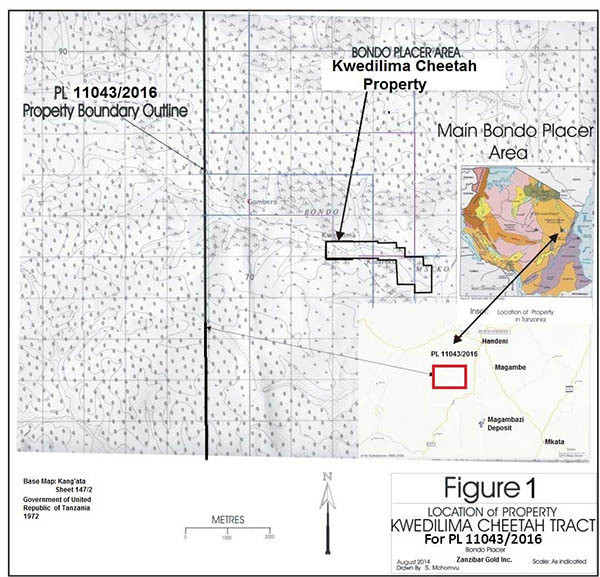 SURREY, British Columbia, April 10, 2019 (GLOBE NEWSWIRE) — Zanzibar Gold Inc. reports on its copper gold and vanadium Property on Vancouver Island. During this initial program soil and rock samples were taken in the area and analyzed for ICP 30 elements. Preliminary geological mapping and analysis was also undertaken. This new showing in a shear zone within the gabbro unit that crosses the entire property in a NNW direction and is anomalous in its entirety (2-3 km is present on the property) and continues to the north is part of the continuous unit with several gold copper showings. Values of samples in the adjacent properties and showings that are on the property have been reported in the 1-3 ppm range with high grade (adjacent properties) values in the 10+ gram per tonne range. Gold (over 2000 ounces) was recovered from the region, in the mid-20th Century from small operations. The preliminary sampling has indicated that the gabbro is more mineralized than the surrounding volcanics, with higher vanadium values. Anomalous gold values are associated with higher vanadium values and copper values. A review of the available data indicates that the gabbro is anomalous in vanadium and gold. Vanadium, found worldwide has a back ground of 50 ppm and 90% of the soil samples and over 75% of the rock samples taken on the property were above 100 ppm Vanadium. 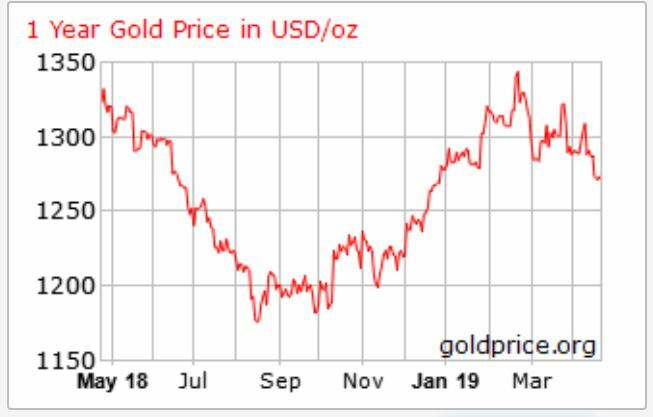 Recent reporting from the BBC outline that the gold price has hit a near-four week high, underlining worries about global growth (Brexit and the Rump EU) and the US Federal Reserve’s cautious comments on the USA’s economy. “… the US dollar is weak and we saw [the] Chinese central bank’s acquisition of gold for a fourth month. A combination of all these factors have moved gold into the $1,300s,” said Bart Melek, head of commodity strategies at TD Securities in Toronto. 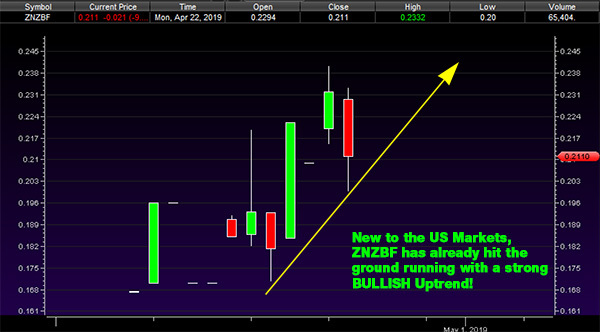 ZNZBF may be ultra-new to the markets — but it has already hit the ground running! Exploration companies are generally speculative by nature. But considering the company’s recent release and claim + the fact that it’s so new that it’s a potential “Ground Floor” Situation, ZNZBF deserves your complete and full attention immediately! As you know, in uncertain times like these — investors look to Gold as a safe haven. ZNZBF certainly represents this sector to the fullest while sprinkling a little Copper, Silver, and the HOT Strategic Mineral of Vanadium into the mix! Make sure you put it on your screen RIGHT NOW and Follow on Twitter for Updates + Play-by-Play! This report/release/profile is a commercial advertisement and is for general information purposes only. We are engaged in the business of marketing and advertising companies for monetary compensation unless otherwise stated below. The paying party may own shares and may liquidate them during the promotional period. PLEASE NOTE WELL: Epicstockpicks.com and its employees are not a Registered Investment Advisor, Broker Dealer or a member of any association for other research providers in any jurisdiction whatsoever and we are not qualified to give financial advice. EPICSTOCKPICKS.COM WILL NEVER ACCEPT FREE OR RESTRICTED TRADING SHARES IN ANY COMPANIES MENTIONED AT EPICSTOCKPICKS.COM &/OR ANY OF OUR SOCIAL NETWORKING AND EMAIL ADVERTISING PLATFORMS. You are reading this newsletter because you have subscribed via our Opt-In Signup form on our Website. If you have been subscribed by mistake, you may unsubscribe HERE. We encourage all to read the SEC INVESTOR ALERT before reading our Newsletter. Release of Liability: Through use of this email and/or website advertisement viewing or using you agree to hold Epicstockpicks.com, its operators owners and employees harmless and to completely release them from any and all liability due to any and all loss (monetary or otherwise), damage (monetary or otherwise), or injury (monetary or otherwise) that you may incur. Epicstockpicks.com sponsored advertisements do not purport to provide an analysis of any company’s financial position, operations or prospects and this is not to be construed as a recommendation by Epicstockpicks.com or an offer or solicitation to buy or sell any security. COMPENSATION: Epicstockpicks.com has been compensated one-hundred and twenty five thousand dollars cash via bank wire by a third party, World Wide Media Group LLC for a one day Zanzibar Gold Inc. advertising services contract. Epicstockpicks.com does not own any shares of ZNZBF. Epicstockpicks.com does not investigate the background of any third party. The third party may have shares and may liquidate it, which may negatively affect the stock price. This compensation constitutes a conflict of interest as to our ability to remain objective in our communication regarding the profiled company. Epicstockpicks.com may purchase shares on the open market of any mentioned company following the dissemination of this email. The information contained herein is based on sources which we believe to be reliable but is not guaranteed by us as being accurate and does not purport to be a complete statement or summary of the available data. Epicstockpicks.com encourages readers and investors to supplement the information in these reports with independent research and other professional advice. All information on featured companies is collected from public sources only such as the profiled company’s website, news releases, and corporate filings, but has not been verified in any way to ensure the publicly available information is correct. Epicstockpicks.com makes no representations, warranties or guarantees as to the accuracy or completeness of the disclosure by the profiled companies. Further, Epicstockpicks.com has no advance knowledge of any future events of the profiled companies which includes, but is not limited to, news press releases, changes in corporate structure, or changes in share structure. None of the materials or advertisements herein constitute offers or solicitations to purchase or sell securities of the companies profiled herein and any decision to invest in any such company or other financial decisions should not be made based upon the information provide herein. Instead Epicstockpicks.com strongly urges you conduct a complete and independent investigation of the respective companies and consideration of all pertinent risks. Readers are advised to review SEC periodic reports: Forms 10-Q, 10K, Form 8-K, insider reports, Forms 3, 4, 5 Schedule 13D. Epicstockpicks.com is compliant with the Can Spam Act of 2003. Epicstockpicks.com does not offer such advice or analysis, and Epicstockpicks.com further urges you to consult your own independent tax, business, financial and investment advisors. Investing in micro-cap and growth securities is highly speculative and carries and extremely high degree of risk. It is possible that an investor’s investment may be lost or impaired due to the speculative nature of the companies profiled. The Private Securities Litigation Reform Act of 1995 provides investors a ‘safe harbor’ in regard to forward-looking statements. Any statements that express or involve discussions with respect to predictions, expectations, beliefs, plans, projections, objectives, goals, assumptions or future events or performance are not statements of historical fact may be “forward looking statements”. Forward looking statements are based on expectations, estimates, and projections at the time the statements are made that involve a number of risks an uncertainties which could cause actual results or events to differ materially from those presently anticipated. Forward looking statements in this action may be identified through use of words such as “projects”, “foresee”, “expects”, “will”, “anticipates”, “estimates”, “believes”, “understands”, or that by statements indicating certain actions “may”, “could”, or “might” occur. Understand there is no guarantee past performance will be indicative of future results. Past Performance is based on the security’s previous day closing price and the high of day price during our promotional coverage. In preparing this publication, Epicstockpicks.com has relied upon information supplied by various public sources and press releases which it believes to be reliable; however, such reliability cannot be guaranteed. Investors should not rely on the information contained in this email and website. Rather, investors should use the information contained in this website as a starting point for doing additional independent research on the featured companies. Epicstockpicks.com and its owners, affiliates, subsidiaries, officers, directors, representatives and agents disclaim any liability as to the completeness or accuracy of the information contained in any advertisement and for any omissions of materials facts from such advertisement. Epicstockpicks.com is not responsible for any claims made by the companies advertised herein, nor is Epicstockpicks.com responsible for any other promotional firm, its program or its structure. The FASTEST WAY to receive our Alerts! Fill out the form to receive our text alerts or simply Text the word: EPIC to the number: 71441. Today we intend to close the month of March in a big way with what may be the most innovative Tech Sub-Pennies on the OTC markets today! Touchscreen technology is no longer a “new thing”. It’s everywhere from our smartphones and tablets to our laptop computers. However, today’s alert is utilizing this technology in not only a unique and interactive way – but literally – in a BIG WAY. Introducing…IPRU! With IPRU, the FUTURE IS NOW. IPRU has taken touch technology to the next level by successfully engaging consumers using much larger mediums such as floor screens, table tops and window displays. The company currently claims resellers in 21 countries and names Disney, Sony, Guess and Mazda among some of their clients! Sounds amazing right? But equally amazing is IPRU’s incredibly BULLISH chart…. IPRU – READY TO EXTEND THIS LEGENDARY BULL RUN? IPRU’s most recent Bullish run is nothing short of astonishing. From Triple-Zero levels of .0002 in January to today’s price of .0017 – IPRU has certainly come a long way! But could IPRU be ready to rise to the next level? IPRU has now developed an impressive Bullish Trend which has held for over 2 months. However, like kryponite, IPRU has failed to breach .0017 after testing it over 12 times in the last month. With all indicators now Bullish, we’ll be watching for a potential break of this key level to confirm a continuation to this trend. On our side is Barchart.com who currently gives IPRU it’s top rating of STRONG BUY! In addition, StockTA currently gives it a BULLISH overall rating! IPRU (Innovative Product Opportunities, Inc.) is a research and product development firm specializing in interactive media products. At the core is the company’s proprietary technology which turns ordinary surfaces into exciting self-motivated digital experiences. IPRU brings static environments to life by enhancing existing infrastructure with interactive effects. The company can convert walls, floors, windows, and tables into a literal digital playground! This allows IPRU to provide clients with a fresh new approach to delivering their messages and enhancing their brand through interactive multi-touch and even multi-user recognition – the more participants, the merrier! Did you see that? IPRU has created video lighting for floors, walls, windows, displays, and more to react and animate to the user’s movements! INCREDIBLE! IPRO has absolutely taken touch to the next level. Their core software, the heart of Imagin8, is a powerful and easy to use proprietary platform that allows it to simply track hand and body movement. Think about all the concerts, nightclubs, broadway plays, retail stores, and more that could use this technology! The possibilities are ENDLESS! In fact, I have personally seen this technology used at Muse concerts. IPRU has already implemented it’s technology in a top Toronto nightclub that now has an interactive bartop and has tested it’s technology with a multi-platinum Grammy-award winning Artist! IPRU is certainly not a company to simply rest on it’s laurels. Already this partnership appears to be paying off as the companies worked closely to deliver an Interactive Donor Recognition Wall to the Toronto Humane Society! Amazing Technology, Growth, new partnerships, a Sub-Penny Pricetag, and a Bullish Chart….What’s not to love about IPRU?! Make sure you put it on your screen RIGHT NOW and Follow on Twitter for all the Updates + Play-by-Play! PLEASE NOTE WELL: Epicstockpicks.com and its employees are not a Registered Investment Advisor, Broker Dealer or a member of any association for other research providers in any jurisdiction whatsoever and we are not qualified to give financial advice. EPICSTOCKPICKS.COM WILL NEVER ACCEPT FREE OR RESTRICTED TRADING SHARES IN ANY COMPANIES MENTIONED at EPICSTOCKPICKS.COM &/OR ANY OF OUR SOCIAL NETWORKING AND EMAIL ADVERTISING PLATFORMS. We encourage all to read the SEC’s INVESTOR ALERT before reading our Newsletter. COMPENSATION: Epicstockpicks.com has been compensated fifty-nine thousand dollars cash via bank wire by a third party, Cream Consulting Group, Inc. for a one day, Innovative Product Opportunities, Inc. advertising services contract. Epicstockpicks.com has been previously compensated twenty thousand dollars cash via bank wire by a third party, Microcap Innovations, LLC for a one day, Innovative Product Opportunities, Inc. advertising services contract which has expired. Epicstockpicks.com does not own any shares of IPRU. Epicstockpicks.com does not investigate the background of any third party. The third party may have shares and may liquidate it, which may negatively affect the stock price. This compensation constitutes a conflict of interest as to our ability to remain objective in our communication regarding the profiled company. Epicstockpicks.com may purchase shares on the open market of any mentioned company following the dissemination of this email. The information contained herein is based on sources which we believe to be reliable but is not guaranteed by us as being accurate and does not purport to be a complete statement or summary of the available data. Epicstockpicks.com encourages readers and investors to supplement the information in these reports with independent research and other professional advice. All information on featured companies is collected from public sources only such as the profiled company’s website, news releases, and corporate filings, but has not been verified in any way to ensure the publicly available information is correct. Epicstockpicks.com makes no representations, warranties or guarantees as to the accuracy or completeness of the disclosure by the profiled companies. Further, Epicstockpicks.com has no advance knowledge of any future events of the profiled companies which includes, but is not limited to, news press releases, changes in corporate structure, or changes in share structure.